A relatively new name in the tablet-space is PengPod, made by Peacock Imports, a Florida, US-based outfit. 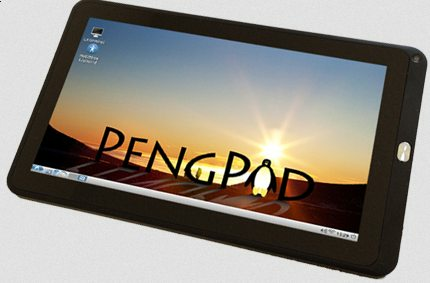 The PengPod tablet runs Linux on ARM/Allwinner SoC hardware. Neat. So for $160'ish you get the top of the range PengPod with a case and keyboard and 32 Gb of storage. You can use Android or GNU/Linux. Sounds like a winner to me. At the heart of the hardware is the Allwinner A10 system-on-a-chip that boasts a 1.2GHz Cortex A8 ARM core, HD video co-processing, 3D acceleration, and HDMI among other impressive specs.. The Allwinner A1X, known under Linux as sunxi, is a family of single-core SoC devices designed by Allwinner Technology from Zhuhai, China. The Allwinner A1X kernel source code is available at https://github.com/l...nxi/linux-sunxi. At the moment stable support is limited to 3.0.x kernels. That is a big issue since most distros use at least the 3.2 kernel or above and stable is up to 3.7.8. Heck even Debian is past the 3.0 kernel (3.2.0.4 as of late) and that is saying a lot. So you may be able to install Linux on this but it will be a heavily modified or a very old version. As far as being able to run Linux, that is really neat but at the same time, you can do that with the Nexus 7 and other tablets as well. Pretty soon, you will be able to install a lot of distros on tablets and phones. I meant the top of their range. The price I gave was wrong for their top modle. 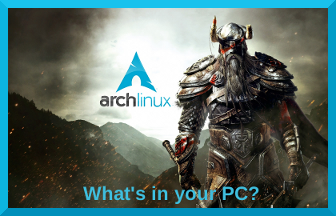 However as you pointed out it does seem to be limited for installing linux so maybe not such a good deal.Good marketing on their part as many folks will not know about its limitations till they buy and try to install a modern linux which is a sort of a con in some ways. The Nexus 7 you are using for comparison retails for around $400 here so at $124 lower end and $194 top PengPod with a case and keyboard still seems like a reasonable price if you are happy with Android and an older linux. Are they more expensive because of where you live? I know the difference in the dollar versus the pound but the Pingpod prices are in Dollars as well. Looks like they are for some reason(thanks Cameron and Cleeg for the import tax). I must be missing a brain cell today it should be $297 as a rough conversion and guide.